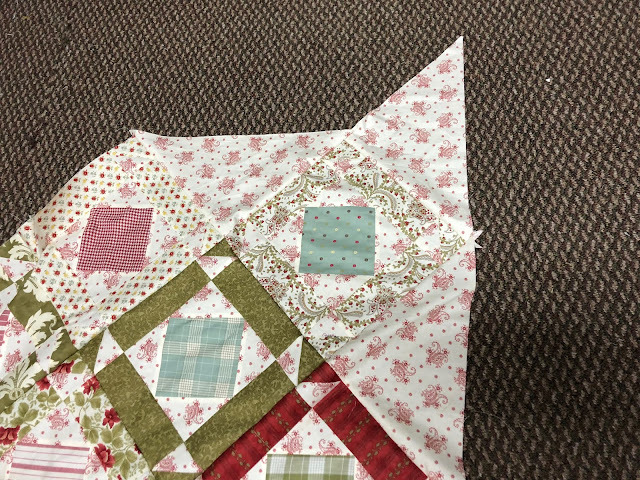 This weekend, I went on a quilt retreat with some friends to Sturbridge Quilting and Sewing Center. The retreat started with a little hiccup. I kind of need these to sew (and drive and see in general). 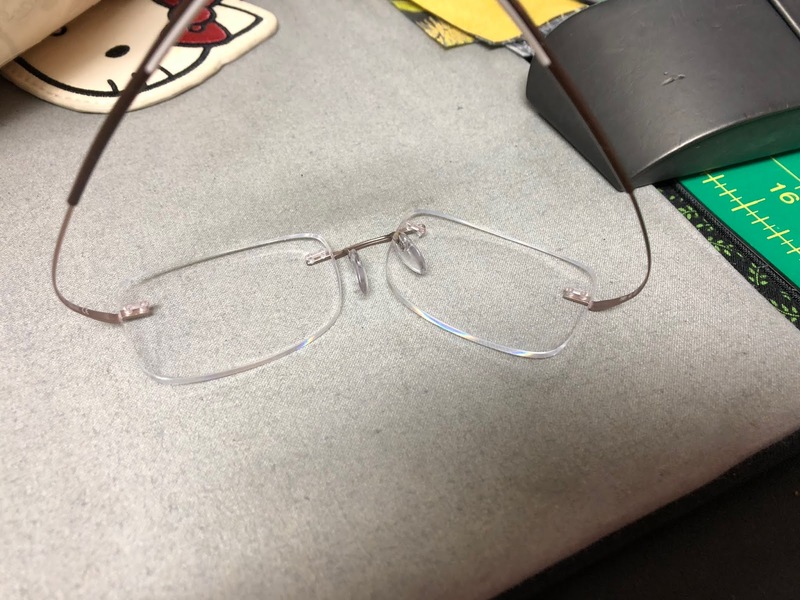 I had a 3-year-outdated pair of glasses with me, so I managed to get through the weekend, but guess where I'll be this morning as soon as the office opens? 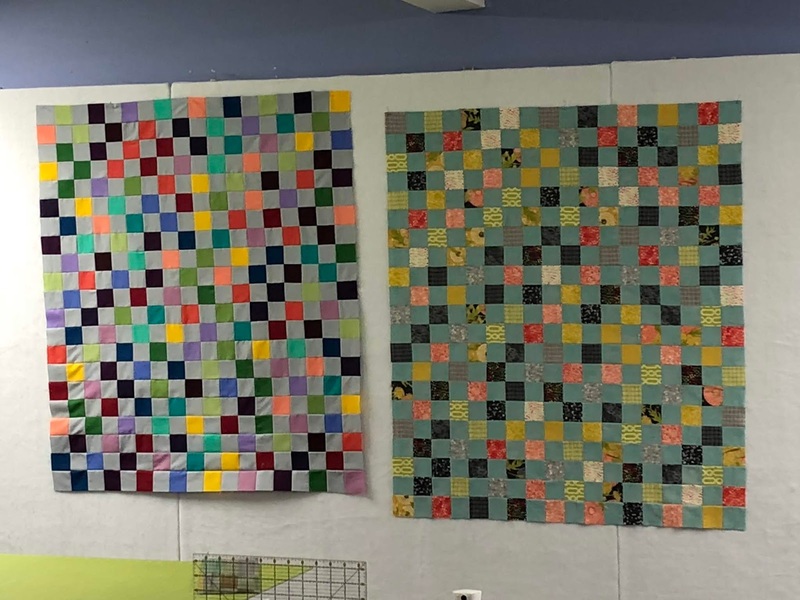 My quilt was on the right (I made two identical ones). I used Moda Dandi Annie and Grunge. My friend is taking my class and made the one on the left. Saturday I made a quilt for my daughter-in-law's mother. The pattern is from On A Roll and the fabric is a Moda line from 2008ish. While making this one, I experimented with an alternate corner technique. When you see this absolutely everywhere next year, remember that you saw it here first. I'm a trendsetter. Sunday I finished two very old (circa 2000) identical UFOs. This quilt was from Open a Can of Worms and the block fabric is from "I have absolutely no idea." The setting fabrics and borders were purchased from Sturbridge Quilting and Sewing Center and I also have no idea what lines they were. I wanted this eighteen year old project finished and I bought whatever would make it so. Quilt retreats are about friends, and we enjoyed each other thoroughly. Quilt retreats are also about learning about new gadgets from the other retreat attendees. My two great finds for the weekend were a storage container for small quilt squares and a fine-mist spray bottles for pressing. I tried to schedule another retreat before I left, but I don't have a spare weekend until June and I couldn't make it happen. I can't wait to go again! 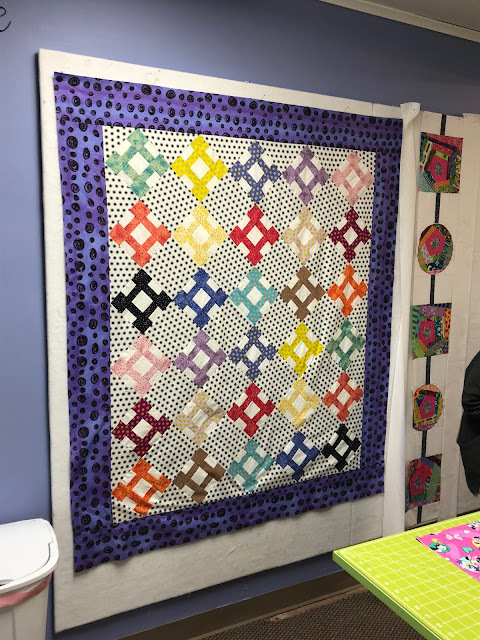 Do you have a quilt retreat scheduled on your calendar for 2019? 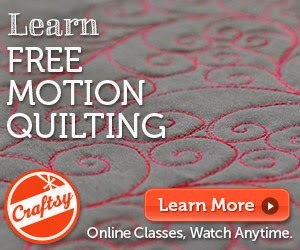 What is your favorite part of quilt retreats? Sounds like you had a very productive and enjoyable quilt retreat! I'm totally jealous that you were sewing with Gina this weekend. Love those ladies. Always a lot of laughs. Luckily, I have a retreat in Maine scheduled for MLK weekend and another retreat in Maine with my new quilt guild. Wow! You are on a roll. I hope you got your glasses repaired or new ones! 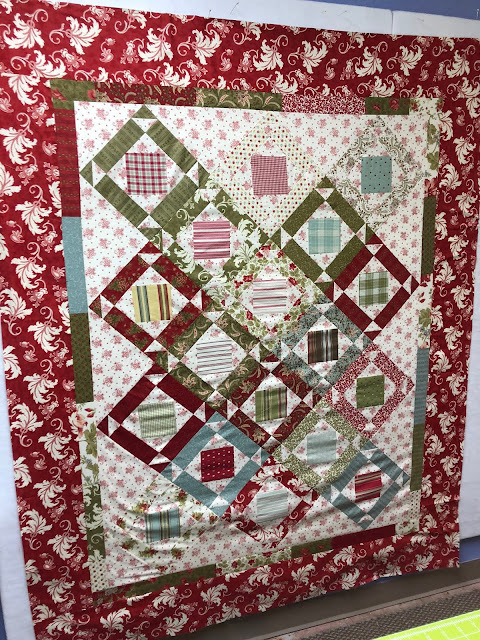 Wow - getting through the old but pretty ones and having sewing fun is even better with friends. I went and bought myself one of those misty sprays a while back - it has been so useful for all sorts - even misting the orchids rather than waste the water! Orchids take a lot of neglect with me so they are well happy now! LOL! And oops with the glasses. I never get rid of my previous pair or the one before that. Then it's just a matter of rotation. The oldest stays in the house but the middle one stays in the car for the just in case the "oops I sat on my specs again" happens!